Howdy programming brothers and sisters. It’s Andy Gesner and the rest of the HIP staff here with a brand new clip from Sweden’s prime electro-pop rocker export The Sounds. The energetic, attitude driven sound that the group is so well known for worldwide is back and headed in a new direction in the latest single “Dancing With The Devil.” The Sounds are on the verge of a major breakout moment once again, with more momentum behind them than a fully loaded freight train. Then band, with three successful full-length records behind them and the newly released Something To Die For being their fourth, are set to explode back into the mainstream! The Sounds have already received a Grammis (the Swedish Grammy award) for “Best Newcomer” and appeared on every major music television station worldwide, whether it has been one of the music videos, a live concert stream, or late night talk show performances, including TV spots on Letterman, Carson Daly and Jimmy Kimmel. In the United States, The Sounds have built up a celebrity fan base that includes Dave Grohl, Pharrell, Quentin Tarantino, Thomas Johnson and Robin Botten, Bam Margera and his wife Missy Margera, David Desrosiers, Ben Khodadad and Britney Spears. In fact, Dave Grohl wore a Sounds t-shirt in the Foo Fighters’ “Times Like These” video! The Sounds have built their massive and loyal fan base with lots of touring and “word of mouth” promotion. The rockers have supported everyone from The Foo Fighters, The Strokes, Angels & Airwaves, +44, Panic! At The Disco, to No Doubt and Paramore. 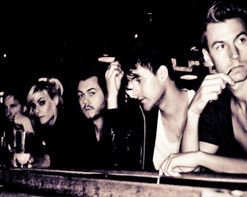 The Sounds have also headlined two recent Warped Tour festivals. The band has been busy touring the world behind their new record Something To Die For, with many European dates still left to play and including some major festivals. The band has also recently performed songs of the new record on Fuel TV and had some of the new tracks featured on the CBS show Hawaii 5-0. “Dancing With The Devil” is also featured in the opening of the brand new movie Scream 4. The internet is currently lit up with support for this outstanding fourth entry. Vocalist Maja Ivarsson will also be guest appearing in this year’s upcoming and much anticipated All Time Low record. “Dancing With The Devil” continues to show off the band’s signature pop focused attitude but also takes the band into some new places sonically. The staccato strings and keys take the lead on this upbeat offering, allowing Maja to get her listeners into a dancing frenzy. With the UK leading the way in modern electro and with the British seeming to dictate to the rest of the world what is really good music these days, The Sounds are set to once again catch make waves here in the States with this already well received hit overseas. We dare you not to like this brilliant new single and its serving of killer beats with a side contagious lyrics. The video really takes the group to a new dimension and sets them apart from their peers, as well as their previous works. The clip starts out in a grim military camp setting as The Sounds are held hostage by what seems to be an independently operated military cell. The group is stripped of their clothes and intimidated by the military men. However, things turn from grim to bizarre and exciting as the military force starts to gradually shift from regular motions to synchronized dancing! Eventually The Sounds are rescued by a group of school girl fans wearing gas masks, and the clip turns into a full on performance. This gritty and courageous video is always high quality and shot in crisp and ultra-sharp black and white. Any viewer will not only enjoy this video as an exciting music clip, but also as a neat work of cinema. We are absolutely thrilled to work on this extremely high profile project and stoked to bring you a band we are all huge fans of. We feel your viewer base will enjoy this fantastic clip on several layers. We’ve got lots of stuff from The Sounds here at the office, so please reach out for any on-air giveaway needs. 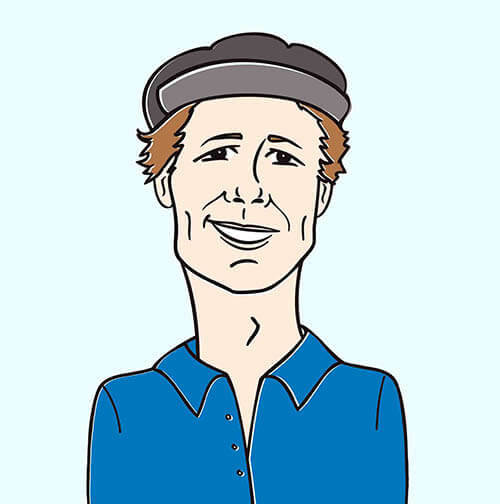 If you need more info, call Andy Gesner at 732-613-1779 or e-mail us at HIPVideo@aol.com. You can also visit http://www.SideOneDummy.com or http://www.The-Sounds.com to find out more about The Sounds.